MC / IP: N/A ! Valley of the Orcs -> Oral teeth at Orci.! Ice Country -> La Golemi de Ice owls the ice globes. Turning with demons does not enter the tower -> at Soldier Brotac the little frog -> Frog languages. For floral slippers, marble -> map level 130 from tiffiny to blue dragon -> there are pica and 75 weapons can evolve and pica pgm, pc on them can evolve with pgm, pc. IT IS A SERVER PVM 40%, PVP 60%! HE WILL GIVE YOU LEVEL 1 ...! VERY CRETE REPRESENTS THE RATES ARE 1000%, AND CHANGED AND FROM THE MOBILE! WE ARE NEW ITEMS AND DIFFERENT EVOLVES! IN STAFF I AM GM FRIENDS AND INTELLIGENT, WHO HAVE EVENTS EVEN! THIS ACTION AS MATS AND GIVING A MORE THANKS! 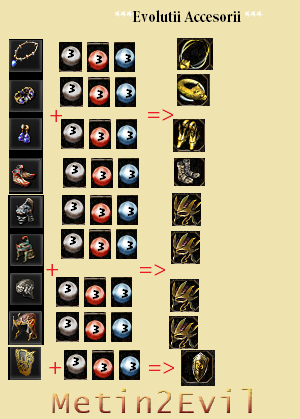 BONUSES 6/7 WITHOUT RARE OR RARE !!! There is no server running and will not exist !!! WE HAVE THE TEXT CHANGE CHANGE TO ALL! Folders to grow :. - They are well calculated because we do not have 6/7, but it's not how you think a duel lasts a long way! 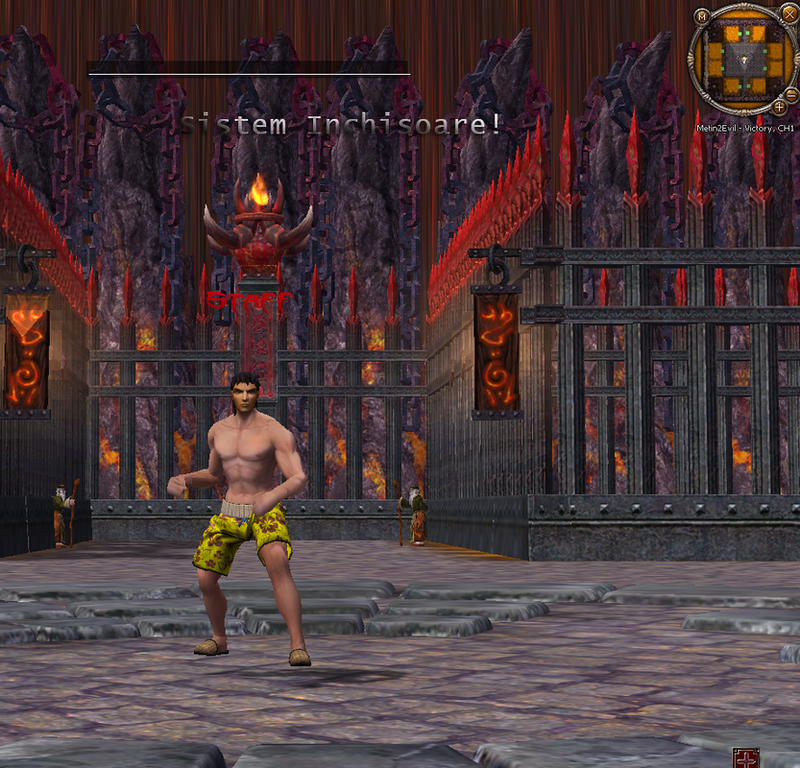 - On Metin2Evil the events supported by a staff member are daily. They are not sustained at an hour they are spontaneous and fun! * Event OX with participation prize! * Event OX with prize only for the last participants! * Search event with one or more staff members! * PVP events that are rarely supported but interesting! * Active Christmas Event on 6/05/2018 with a special map! * PVM is often done with mobi for everyone! 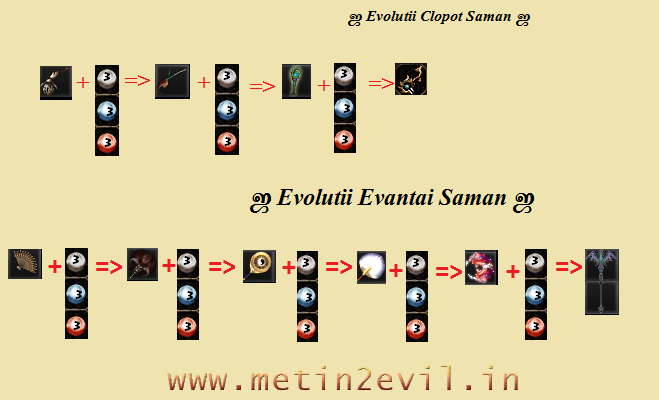 * Evil-Man is a new event to be implemented soon! * Plus other surprises that will be done in time! Evolutions and Their Necessity in Duel :. - It's hard to be good without the latest developments ... That's why we recommend working! Items do not fail to evolve, so you do not have to fear that you have worked a lot and you have to take it from end to end. 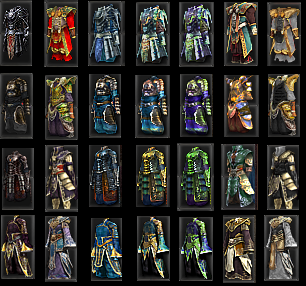 Metin2Evil is not responsible for lost accounts and stolen items! 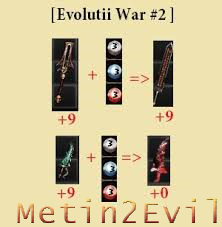 Metin2Evil nu raspunde de conturile pierdute si itemele furate!